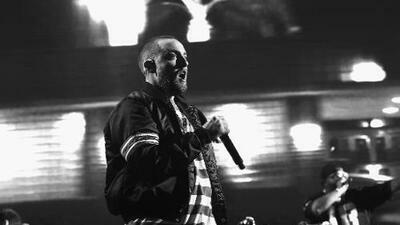 TMZ reports that Malcom James McCormick, better known as Mac Miller died at the age of 26. Miller was found unresponsive on Friday inside his San Fernando Valley home, where he was pronounced dead by the authorities from an apparent overdose. It was reported that a 911 originated from Millers house by someone at the scene. Easy Mac had just released a new album titled ' Swimming' on August 3rd. The Pennsylvania native was going through a break up with Ariana Grande. Shortly after he crashed his G-Wagon against a utility pole in Los Angeles, Grande posted on her Twitter account that she "cared for him and tried to support his sobriety." Grande made it clear that he needed to sober up. Miller was reportedly under the influence when he wrecked his vehicle in May, where he fled the scene, and later confessed to the cops that he intoxicated and was arrested for a DUI, where he blew two times the legal limit. Miller was supposed to start his tour next month. The hip-hop community is just learning about his untimely death and sending their respects.